2. 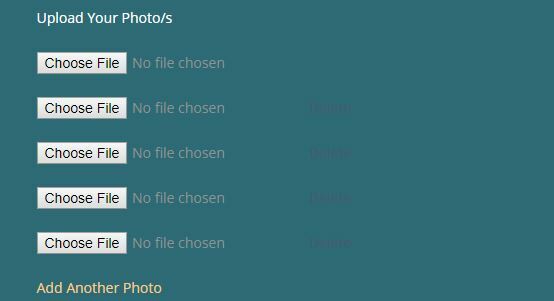 Also, don’t forget to put the code [file-01][file-02][file-03][file-04][file-05] into “File attachments” field. 3. Then add some functionality with jQuery. Multiple files uploading with Contact Form 7 - How to make "Upload/Attach multiple files" feature with Contact Form 7 WordPress plugin. Don’t worry. I fixed it by changing the classes and duplicating the script with the new classes edited it. Cheers. This script is really helpful. I’ve no idea why CF7 doesn’t have better support for multiple file uploads. Hi there. I’ve just set this up, which is great, but I have two different forms side by side. On the right one, there is only an ‘add another file’ link and no ‘browse’ button. When I click ‘add another file’ it adds a ‘browse’ button to the left form. I’ve set the limit to 5. So, when 5 have appeared on the left form, 5 begin to appear on the right.